It depends on what you mean and where you look. For some while there has been a keen debate in the sociology of religion about whether the future of religion is presaged by the three hundred million or so people of Western Europe (in particular North-Western Europe ) or instead by an equivalent number of people in the United States. 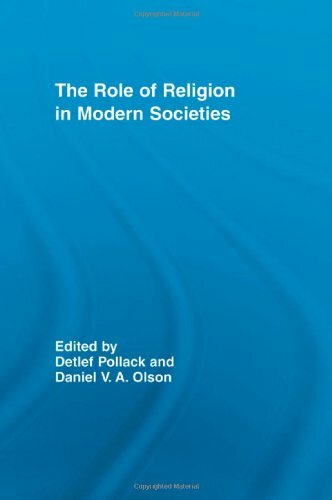 The debate involves some major theoretical stances on the subject, and in particular it activates a long-term issue about the presumed effects of modernization on religion, given that both regions have been foremost in the process of modernization. A long time ago I wrote that it all turned on whether or not you thought that France, as the model for the clash between Enlightenment and religion, gave us a preview of the global future, or reserved that honor for Scandinavia, as the model for an internally secularized Protestantism. The oddity is that the United States, in its origins and development, presents an alternative to the French version of the Enlightenment and a quintessential Protestant culture, while being the most religious of modern societies (though there have, of course, been those who have argued it is secularized from within). Inevitably a debate of this kind involves some scholars writing about incipient signs of secularization in the baby boom generation in the United States, and evidence for disaffiliation among young people today, while others canvass what Andrew Greeley has called "Unsecular Europe." A phenomenon like the amazing spread of Pentecostalism in the developing world does not count because the societies in which it expands are not properly modern. You can even dismiss it as a premonition of secularization if you take Protestantism to be just the first step on the way to the secular future.